Expat Experience: I am a lifelong traveler and lover of cultures. I became an expat after moving to Seoul, South Korea in 2009. I found myself in Korea after sitting on my coach dreaming about seeing the world. In two days, I had manifested an ESL instructor position. Two months later, I was departing a plane in Seoul, South Korea. After teaching elementary school for 14 months, I moved back to the United States until I was offered a university position in Seosan, a rural city two hours south of Seoul. My experience as an expat has ultimately changed my life. I used to enjoy being a tourist and now I love being an expat and being a citizen of the world. Life Experience: I have traveled my entire life. I have been to over 40 of the 50 states and to Puerto Rico, Dominican Republic, China, Japan, Malaysia, and Hong Kong. In my pastime I have been attacked by “Gangster” monkeys at the Bantu Caves in Malaysia. I absolutely loved walking on the Great Wall of China and visiting the Forbidden City in Beijing, China. I love life, believe you should experience life, and complete life empty of any regrets. 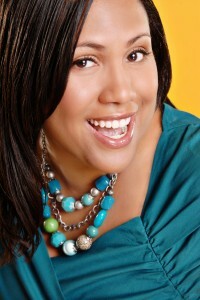 Accomplishments: I am the Founder and CEO of an International Networking organization with over 2,200 women worldwide. In 2011, I wrote a motivational quote book for women and girls entitled “Every Girl Needs Her Pearls.” I am a member of International Toastmasters and hold the distinguished award of Competent Communicator. I have several speaking awards through International Toastmasters. In 2009 to 2010, I held the VP of Education position for the Pacific Sunset Toastmasters in Seoul, South Korea. What I Love About Working in This Niche: I love helping others and working in this niche. Through Expat Coaching and having an International Networking Association, I am able to apply my three major core values: love, travel, and passion. I love to travel and I am passionate about helping others live on purpose and find their passion. Sometimes living, working, or studying abroad can be challenging, but it is very rewarding. It might take a little effort, but once a person finds out how to navigate in their new country the sky is the limit. Coaching Style: I have a very natural and organic style of coaching, I am also very intuitive and can hear beyond a person’s spoken words. I am able to do Skype, phone or internet coaching. I prefer to have direct conversation either through Skype or over the phone, but would be willing to use chat or email for follow-up conversations or questions. Favorite Coaching Tool: I am a certified EQ (Emotional Intelligence) Coach and I have a Master’s in Intercultural Service, Leadership, and Management. I do however use many tools and I work with many of the CI (Cultural Intelligence) methods and modalities as well as Experiential Learning. Why Clients Choose Me As Their Coach: I think clients choose me because I have an easy going and relaxed demeanor and I relate well to most personalities. Many of my clients are college students going to study abroad and they find that it is easy to speak to me and open up about their fears, awkward transitions, and school concerns. However, I find that a great deal of my clients have stated they enjoy working with me because they feel like talking to me is like talking to an old friend, comforting. A Tip for My Niche: Living, working, studying, or even traveling abroad takes effort and most of the time a great deal of patience. However, once you become comfortable in your new surroundings you will find that life gets easier. Having a sounding board during your transitions is very helpful. Remember that even though you are outside your comfort zone you are never alone. Culture Shock and being away from your friends and family might be difficult at times, but remember that your experience is priceless and think of all the doors you are opening for you and someone else. The world is actually very small, you might just be right around the corner from a long lost friend.